At Robert McIntyre Insurance, we understand that your household is constantly growing. And you want to protect all of your assets with an appropriate, affordable insurance plan. Whether you have recently welcomed a baby to the family or simply invested in a new home or car, we can provide insurance to accommodate all of life’s big changes. We constantly monitor and assess developments in the composition of your household to provide suitable property and casualty insurance at affordable prices. Trust Robert McIntyre to protect what is priceless to you. There are many benefits to combining your homeowner’s, renter’s or condo insurance with your auto insurance and your personal liability coverage to create one policy. You become eligible for additional protection through higher limits than with separate policies. And more importantly, bundling will cost you less than maintaining separate policies. Moreover, a package policy offers you the benefit of having only one helpful agent, one policy, and one renewal date. Our automobile insurance plans are specifically designed to cover vehicle damage or theft, as well as provide liability coverage in the event of an accident. More importantly, though, these plans also offer dependability, outstanding service, and affordable rates. 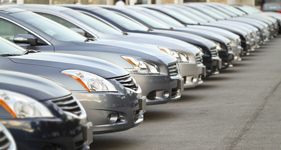 There is a wide variety of coverage options you can choose in order to customize your auto insurance plan to the needs of your family. But peace of mind comes standard. Claims Hotline – Call us on our claims hotline at any time to report a claim, check on its status. Or just ask us a question. Depending on your policy, one or more of these discounts may be available to you. If you are like many people, your home is your most valuable asset, so it is important to protect your home in the case of loss or damage. A homeowner’s insurance policy does just that.The experts at Robert McIntyre will work with you and provide customized advice to give you the most effective and most affordable coverage. You can sleep easier knowing that your home is safe under the care of Robert McIntyre. Home Replacement Coverage – For homes insured for 100% of their replacement value, damage resulting from a covered incident will be fully repaired, even if the repair cost exceeds the policy limits. Electronics and Valuables Coverage – You can add additional protection for your valuables, such as jewelry, furs, stamp and coin collections, silverware, home computers, and cellular phones. Contact us to check the limits of your homeowner’s policy and confirm if one or more of these additional coverage options would be right for you. Contact us to see which discounts are applicable and find out how they can save you money on insurance payments. 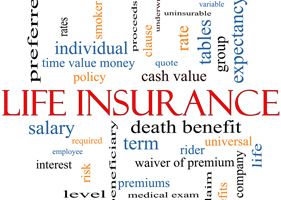 Life insurance packages provide financial protection for you and your family. Life insurance can protect your family and your business by covering a shortfall in your other assets.It can also be used to cover a mortgage or to help fund your retirement or a college education. Robert McIntyre Insurance provides a wide selection of term and permanent life insurance policies to meet the needs of your household. We also offer policies with discounted rates for nonsmokers and customers with a good health history. 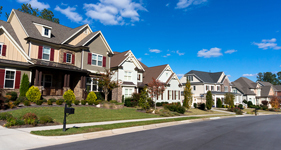 Condominiums require insurance protection in the same way that single-family homes do. When you purchase a condominium insurance policy with Robert McIntyre, you will receive broad coverage for your condominium and personal belongings. And you will become eligible for many special discounts. Within a condominium insurance policy, you can receive special protection for valuable items, such as jewelry and electronics. You can also combine your condo and auto insurance into a package policy that provides extra coverage at a reduced cost. Just like homeowners, renters need to protect their personal property against theft and damage. But they also need to protect themselvesagainst any liability incurred from inadvertent damage to the rental unit. Robert McIntyre can provide a renter’s policy that will cover these contingencies at a reasonable price. A renter’s insurance policy can also be packaged with an auto insurance policyfor additional savings. Accidents happen. A friend or family member could slip on your pool deck, or your child could hit a baseball through a neighbor’s window. Mishaps like these cannot be prevented, but there are ways to minimize personal damage when they occur. Without adequate insurance protection, such accidents could lead to a liability judgment against you, ultimately resulting in the loss of your home or other assets. Our umbrella policy provides personal liability coverage in such cases. Our umbrella policy protects you, your spouse, and any relatives living in your household for up to S1 million or more, over and above the liability insurance you have from other insurance policies.